Retro styling and direct access to the sun – that’s what the Volkswagen Beetle Convertible is all about. Under the hood of all derivatives is a 2.0-liter turbocharged inline-4 developing 174hp, sent to the front wheels through a 6-speed automatic gearbox. Available on the SE trim, the Premium Package adds LED taillights and bi-xenon HID headlights. Available safety features include blind spot monitoring, rear cross traffic alert, and front and rear park sensors, while ABS and electronic stability control are standard. Volkswagen has had a tumultuous couple of years in the USA, but one thing can’t be denied – they make good cars. Their offerings span almost every segment, with multiple choices within the VW stable to suit your needs… unless you want a convertible. 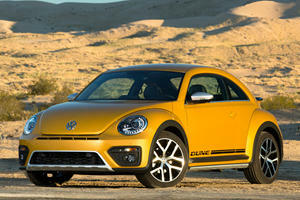 Then you have just one option, and it comes in the form of the MQB based VW Beetle Convertible. Sharing a platform with the VW Golf, the Beetle Convertible trades practicality for style and fashion; with more than just a hint of retro-theming to it. And before you ask, there are no diesels. Large windows and a high roof make the Beetle Convertible feel airy up front, while large doors and the tall roof make ingress and egress fairly simple. Two adults will sit fairly comfortably, though seating is better suited to narrower occupants. Forward visibility is great once inside, though looking rearwards is problematic due to a small rear window, curbing roof, and of course the retractable soft top roof. The rear seats are extremely comfortable, but it’s no doubt to try and offset the blatant lack of space back there. Leg room is minimal and headroom is nigh on nonexistent. This is not the place for adults to sit, or indeed anyone when a long journey is the order of the day. So back to the front then, where you’ll spend all your time – the materials are of a decent quality; though unlike the Golf the Beetle tends to favor plastic surfaces rather than soft touch ones. The Beetle Convertible does many things well – navigating parking lots is just one of those things. A small footprint and precise steering makes it easier to maneuver in tight gaps than its other MWB based siblings. However in aiming for style, a lot of the substance found in a Golf feels missing here. The steering feels overly weighted for such a small car, and feedback is minimal. The brakes also don’t offer much feedback, and the long pedal travel requires more effort than one would like. There’s also vagueness to initial braking, making for jerky driving at low speeds. Ride comfort is decent though, with good with the road maintained through supple dampers. 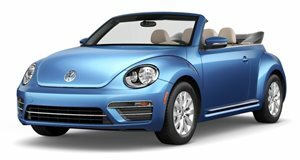 The Beetle Convertible feels more composed through corners than a Mini Cooper Convertible, with less flex, but body roll is still present. For less enthusiastic driving and a softer ride, the Dune model’s slightly taller suspension is cushier – but also less composed during cornering. Regardless of which of the 5 trims you opt for, the heart of the Beetle Convertible is a 2.0-liter turbocharged inline-4 ‘TSI’ motor. 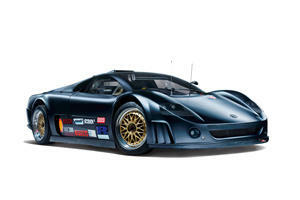 The engine delivers 174 horsepower and 184 lb-ft of torque. A 6-speed automatic gearbox is the only available transmission, with a manual shift mode, and all drive goes to the front wheels. City/Highway consumption has been rated by the EPA as 26/33 MPG for all trims, except the Dune model which scores 34 MPG on the highway, despite the additional ride height. Five trims are available when buying a Beetle Convertible. The base S model features cruise control, leatherette seating, heated front seats, and a rear-view camera as standard. The Style and Comfort adds 17-inch alloys, auto-dimming rear-view mirror, and a 6.3-inch touch screen, while Coast trim includes cloth seating, blind spot monitoring, and rear cross traffic alert. The SE goes premium with dual-zone climate, and an available premium audio system, and the Dune tops the range with Baja Buggy styling, 18-inch alloys, and Dune seating. The Beetle convertible scores best possible ratings of Good in most IIHS testes, with the exception of a ‘moderate’ small overlap result. The VW Beetle may lack some of the dynamic flair of the Golf with which it shares a platform, but the convertible offers the perfect style-orientated alternative to the staid Golf. It’s worth a look, though the Mini Cooper Convertible might be a better option. 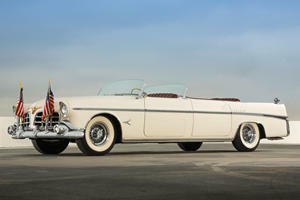 The special automotive parade will be hosted on President’s Day.